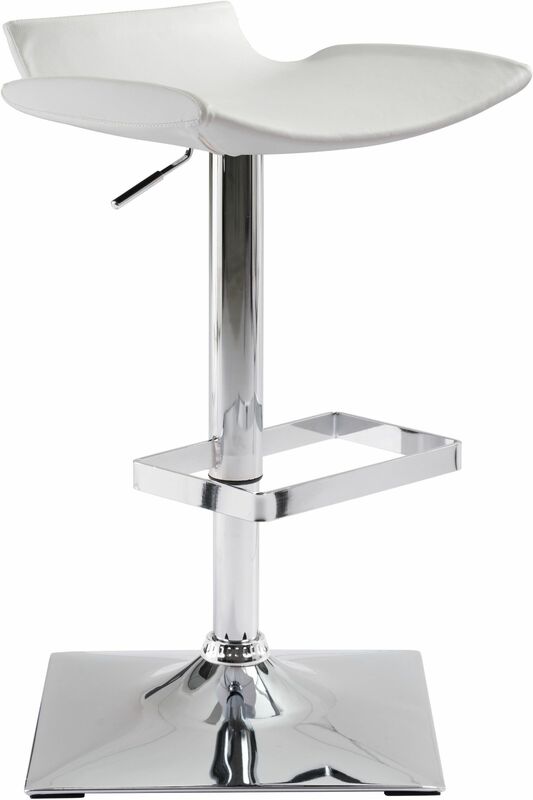 Slim yet comfortable the Magi Barstool features a sculpted seat and backless design for a less is more design statement and feature a fully upholstered leatherette seat; supported by chrome column and round base. Color options include black or white leatherette. . Ordering the Zuo Modern Magi Height Adjustable Bar Chair (White) in Canada is quick, simple, and stress-free at ModernFurniture.ca. 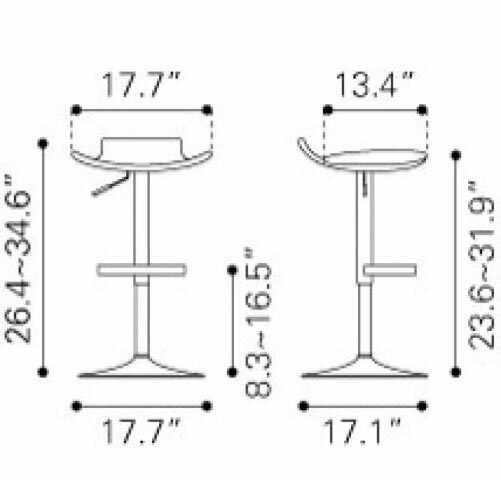 The Magi Height Adjustable Bar Chair ships FREE, from Canada, within 1-2 business days and we make it easy to keep track of when your order will be delivered. You can find product details and specifications about the Magi Height Adjustable Bar Chair below and read customer reviews and feedback. If you have any questions about your order or any other product, our customer care specialists are here to help. Whether you're looking for the Magi Height Adjustable Bar Chair, other bar stools & counter stools by Zuo Modern, or shopping for another room in your home, ModernFurniture.ca has you covered.